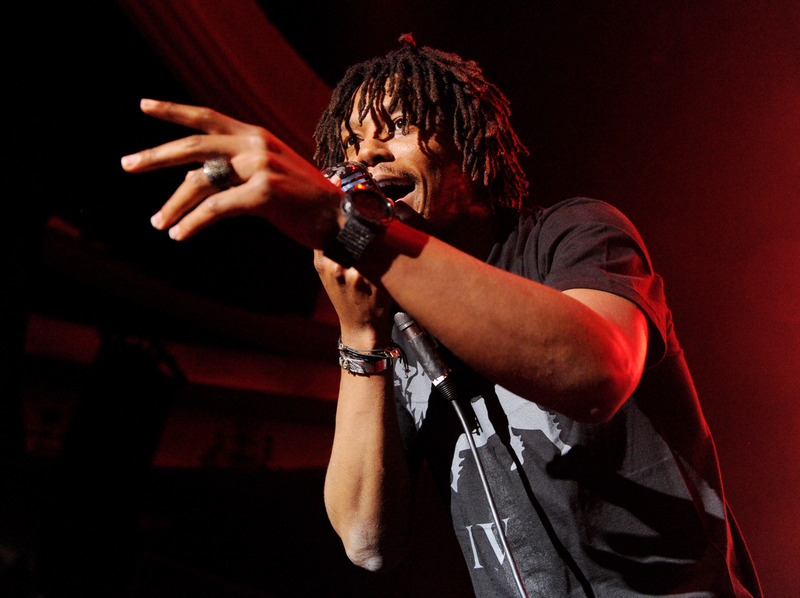 On Monday, rapper Lupe Fiasco made waves, once again, with an open letter to white supremacy. In what appears to be a direct response to a manifesto allegedly written by Dylann Roof, the main suspect of the Charleston shooting killing nine churchgoers, that is filled with racist and vitriolic rhetoric supporting white supremacy, the 33-year-old posted the essay on Instagram highlighting the flawed logic behind white supremacist thought. In three Instagram posts, Lupe Fiasco brilliantly makes a case against white supremacy with outstanding economic arguments illustrating one significant point: there is nothing supreme about being white. The Chicago-based rapper isn't new to political commentary. In the past, Fiasco used his own music as a medium for political opinion with songs like "American Terrorist” and was once criticized for calling President Obama "the biggest terrorist" citing U.S. foreign policies under his administration. While he’s often resorted to his concerts, interviews, and cable news appearances to make his political remarks, this time Fiasco turned to social media as a tool to make a powerful statement on racial theory. Fiasco, in the same post, then makes the point that there is no argument in any form of study supporting the claim that white people are superior than any other race. In fact, he argues the only thing the white race can claim is regularity, which is no different from any other races. Not judging, just wanted to point out that having a disease that native folks aren't immune to because they've never seen it doesn't make you strategically smart or tactically superior, just kind of sick. And these dominant positions don't really stand up to the test of time that long either. There is nothing about you biologically or physically that denotes an innate mode of supremacy. For that matter there is also nothing about you psychologically, philosophically, cognitively, academically, socially, architecturally, culturally or even financially that signifies a higher position above any other group. And to be diplomatic there is nothing about you that denotes innate inferiority as well. So what you really are is something in the middle. You are regular. White Regularity is congruent to all other forms of regularity i.e. Black, Brown, Etc etc. The best part of this open letter comes via the second post, when Fiasco mentions the contributions made by other civilizations and parts of the world. The rapper brought up an important fact that is often dismissed or unacknowledged; it is not uncommon for neo-conservatives and anti-Islam polemics to make the case that Islam or Middle Eastern culture is inferior to Western culture. For example, we’ve had neuroscientist Sam Harris call Islam “the motherlode of bad ideas” on HBO’s Real Time With Bill Maher and other atheists making the claim that Islam oppresses any independent thinking or education. However, Fiasco shatters that narrative by simply pointing out that Islamic civilization, during Medieval Europe’s Dark Ages, has preserved and cataloged great intellectual discoveries made by the Greeks — and without their efforts, the philosophy or even the basic foundations of democracy would’ve probably never seen the light of day. It’s also important to note that Islamic civilization went further with these findings by making significant advancements in astronomy, mathematics, medicine, and even created the first degree-granting university in the world thanks to a Muslim Moroccan woman in 859 A.D. When talking about modern collaborations made by various ethnicities, Fiasco showed the remarkable beauty of a mixed economy. When the rapper makes the point that although Apple creator Steve Job was white (he's half-Arab too), he couldn’t have been successful without the help of individuals belonging to different ethnicities — Fiasco does this by pointing out that the computer manufacturer may be in China, whereas the programmer could be from Mumbai. To go further, it’s important to point out that Steve Jobs and our glamorous iPhones and Macbooks wouldn’t have been known if it weren’t for the Muslim Persian mathematician Muhammad Al-Khwarizmi's underlying framework for algorithms. One well-known economist backs Fiasco’s point. In 1958, legendary Austrian economist Leonard Reed wrote an essay very similar to the rapper's second post titled "I, Pencil." In the essay, Reed shows the pencil for "the complexity of its own creation" by explaining how raw materials, transportation, factories and distributors all require the involvement and collaboration from people from all parts of the world. By upgrading the product from a pencil to a laptop, Fiasco astutely shows the allure and enormous benefits of working with individuals from different racial backgrounds. The second post alone makes an irrefutable argument that any race cannot succeed at its own and further dispels the white supremacist logic behind white beings far more intelligent than their counterparts. In his third post, the rapper left the open letter with a final significant point: white supremacy can only survive and be validated "based solely on its relationship to other races." As Fiasco argues, the firm notion that white people are superior than any other race is vapid and asinine. From now on, there is no such thing as "white supremacy." It’s just "white regularity." Fiasco’s open letter to white supremacy is a great wake-up call not to white supremacists, but the new age of millennial racism. It’s everywhere. From unqualified persons posing as pseudo-religious scholars telling Muslims to adapt western culture, to celebrities profiting from mocking different cultures or perpetuating damaging outdated stereotypes, the notion that western culture (or white culture) is superior and should be the norm is rampant. Nevertheless, Lupe Fiasco made a remarkable attempt in illustrating the logical flaws and inconsistencies of the racist belief all in three simple Instagram posts.